Do you work in an office? There are plenty of fundraising opportunities in an office, so check out our ideas below! Everyone loves a dress down day at work so speak to your boss and see if you can arrange a dress down day at some point in the future and ask people to donate £1 for the convenience of being able to go in their casual clothes! If your office already has a dress down day you could either ask them to donate one day’s worth of money to your cause. Or you could create an alternative day – for example a onesie day, a pyjama day, a dress up day – and people can either donate to abstain from doing it (if you don’t think people would want to participate!) or donate to dress up. Cakes always go down well in an office – who doesn’t want a cake on their tea break?! So do some home baking the night before and bring in some cakes for people to get on their coffee break and ask for donations in return. You may be able to do this as a weekly event too! Is there a big sporting event coming up? World Cup comes to mind! Create a sweepstake (picking out of a hat is always a good option) and let the banter begin! 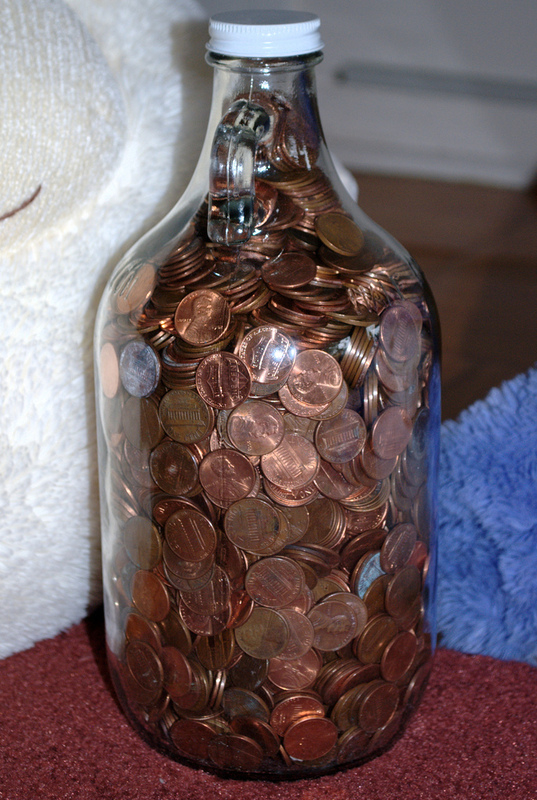 Make a jar (or bucket) for people to put their loose change in! 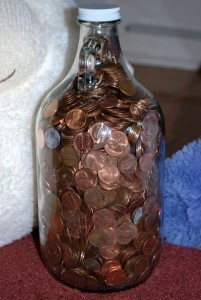 Most people hate carrying out those pesky coppers in their pockets and purses, so put a jar in an easily accessible place and watch it fill up. Coppers mount up pretty quickly! Get a group of your work mates together and organise a social or event to invite everyone too!